kt literary » Blog Archive » THERE’S SOMEONE INSIDE YOUR HOUSE tour! THERE’S SOMEONE INSIDE YOUR HOUSE tour! 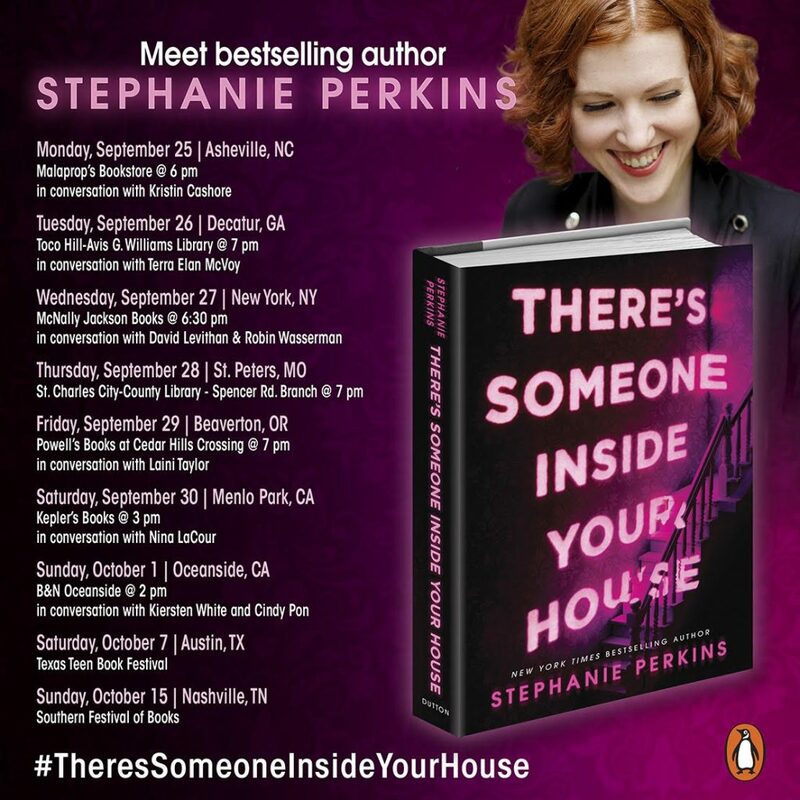 More details on Penguin Teen’s site, but check out the tour dates below for your change to hang out with Stephanie Perkins and get a signed copy of her new horror novel, which Booklist called an “addictive read”. ← Happy Book Birthday to debut author Spencer Ellsworth!